The bruiser is the game’s 25th playable character. Blizzard's hero shooter Overwatch released three additional characters in the year since it launched in May 2016, teasing through in-game hints and in-universe lore blogs. But the next hero is one we've been teased since the title's very first cinematic trailer, when one of the boys takes a gauntlet that could "level a skyscraper" for his own stab at heroics. 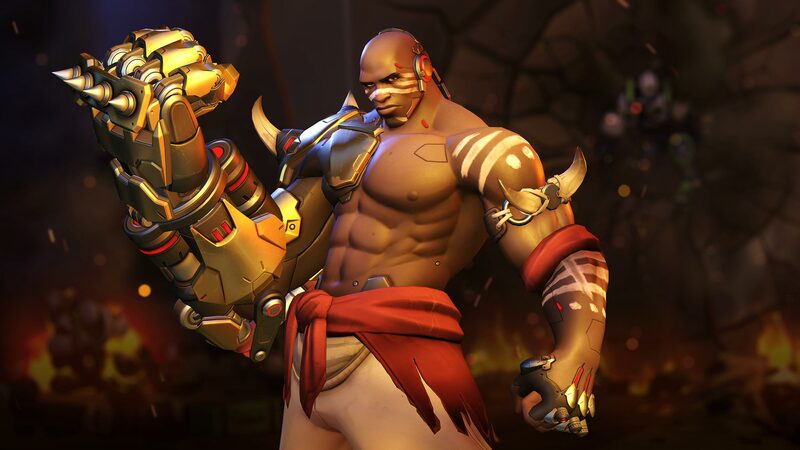 Fans, the wielder of that legendary glove is here: Doomfist has entered the fray. Rise up and be remembered. Witness the return of one of Talon's leaders: Doomfist! Like the heroes before, Doomfist will go live on the (PC-only) PTR test servers before rolling into the main game in a few weeks. But then! Everyone will get to enjoy his heavy-hitting kit, which looks to include crowd-control and area damage skills. Doomfist, of course, is the moniker adopted by three different people in the Overwatch universe. Players wandering around the Numbani stage can find posters advertising an exhibit about each person who wore the legendary gauntlet, and it seems we're playing with the last in the line -- the villain Akande Ogundimu, who broke out of prison to take his place in the shadowy Talon organization. The 'fist itself features prominently in the game's introductory trailer that dropped in November 2014, so it's safe to say fans have been curious when the character would show up.